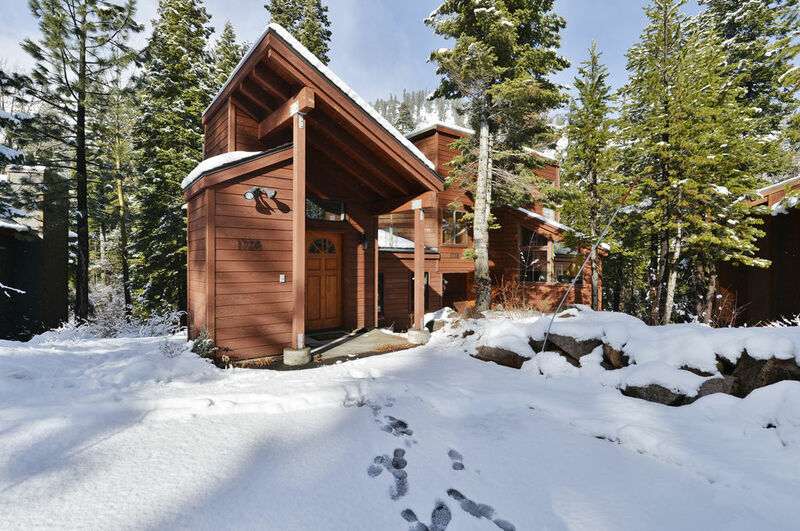 Dog-Friendly - Hot Tub - Minutes From MountainAlpine Meadows Getaway is the epitome of a winter mountain getaway. 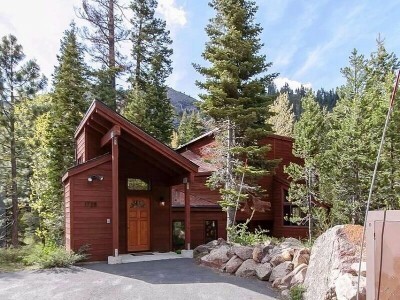 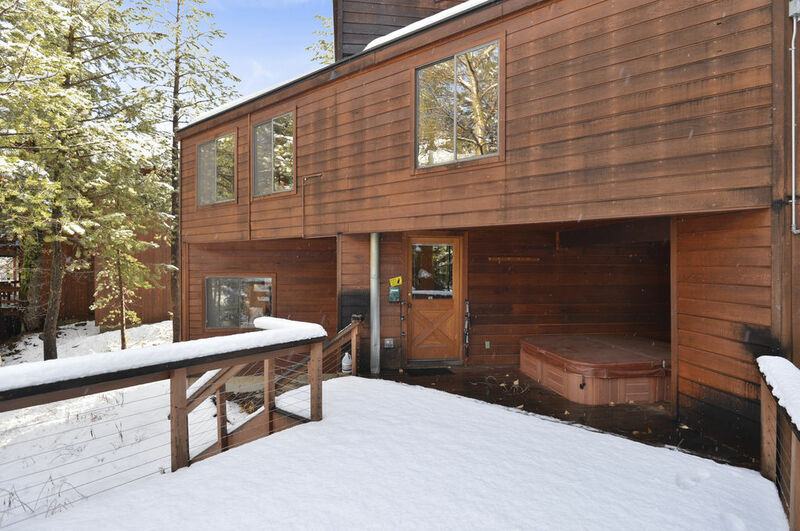 This property is close to slope side skiing at Alpine Meadows. 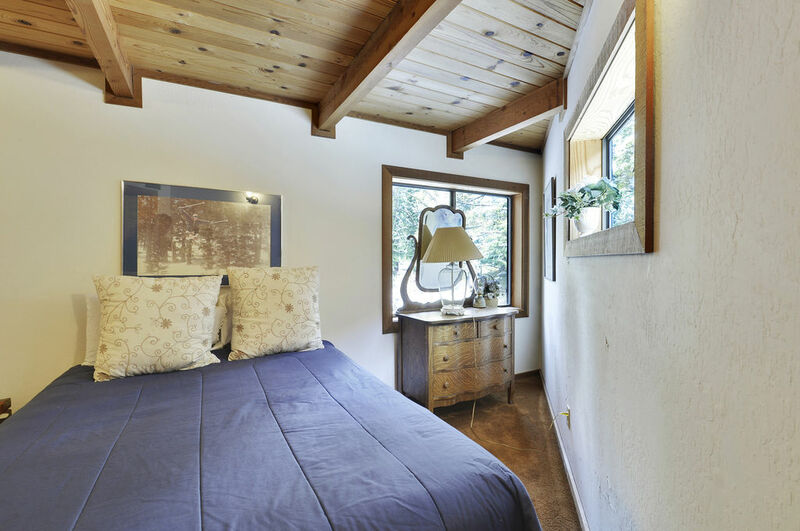 The floor to ceiling windows in the main living area maximizes the sunlight and allows enjoyment of the natural surroundings from the comfort of the living room, or take advantage of the outside from the steamy outdoor hot tub. 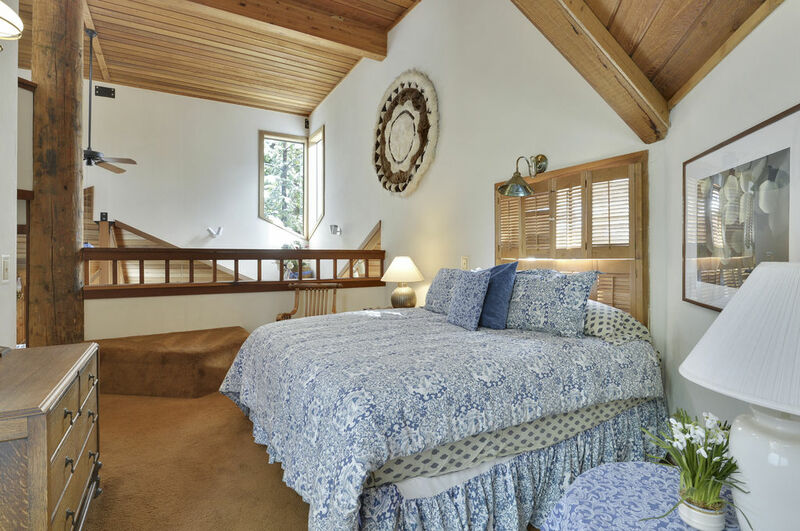 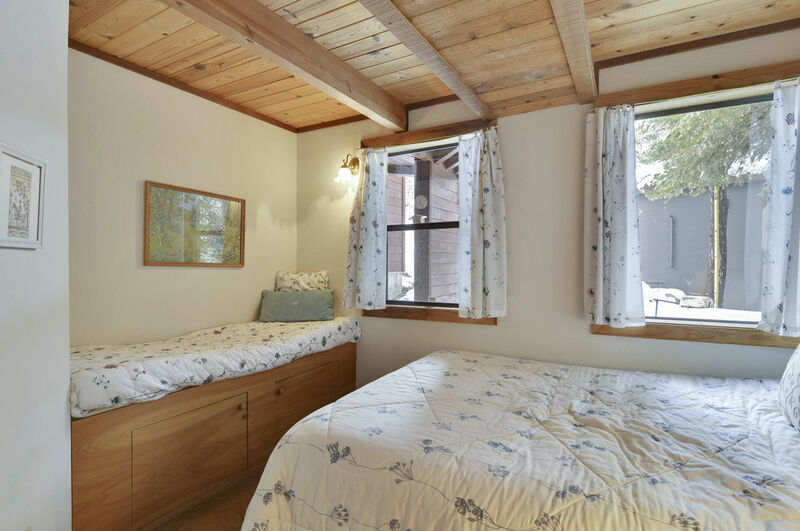 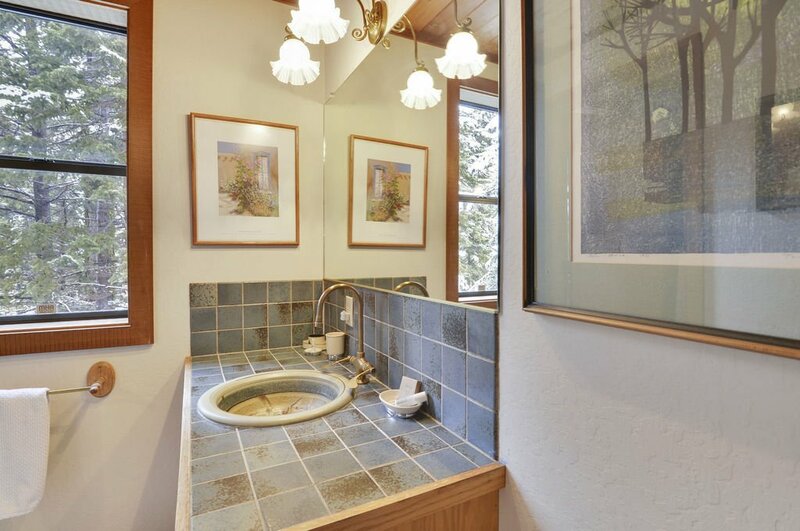 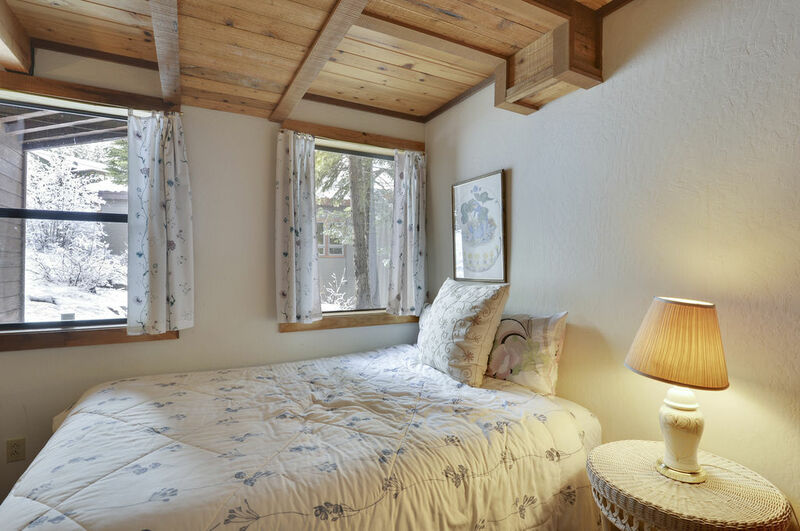 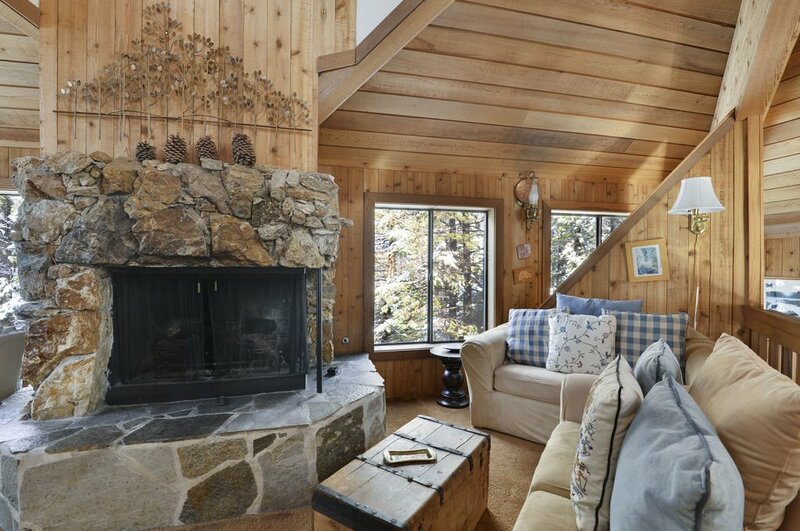 Alpine Meadows Getaway is a perfect winter vacation rental cabin. 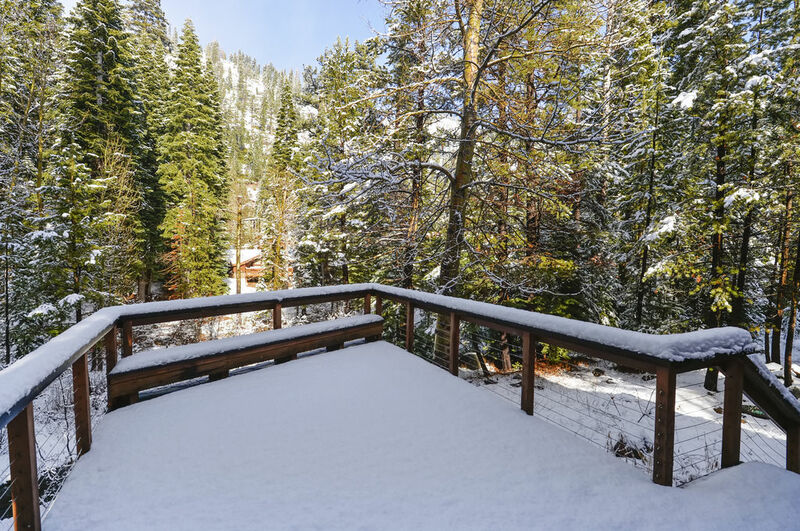 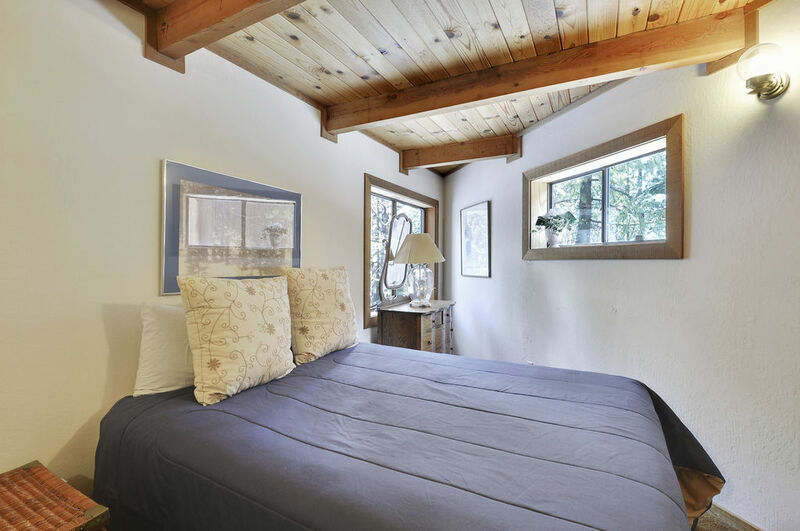 Just a few minutes drive to the slopes of Alpine Meadows, not far from Squaw Valley and in Summer around 15 minutes from Tahoe City, Lake Tahoe, and some great restaurants and shopping. 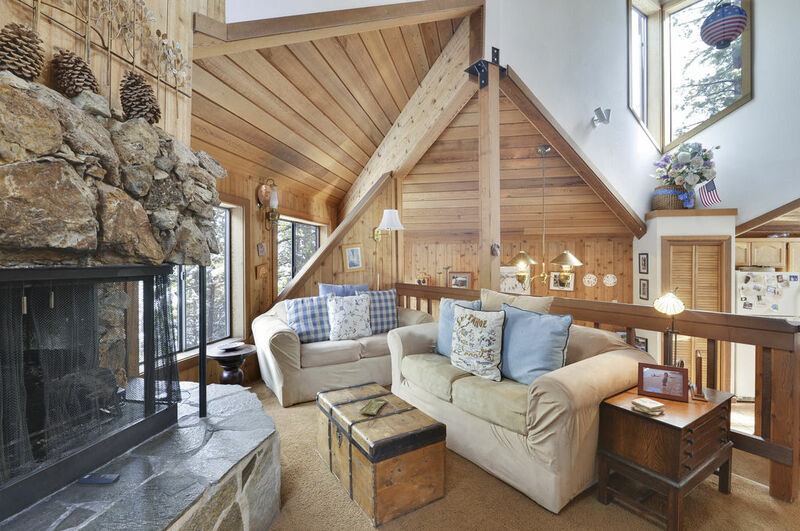 This North Shore vacation home is super cozy for winter with a great fireplace but has lovely high ceilings with lots of windows for natural light. 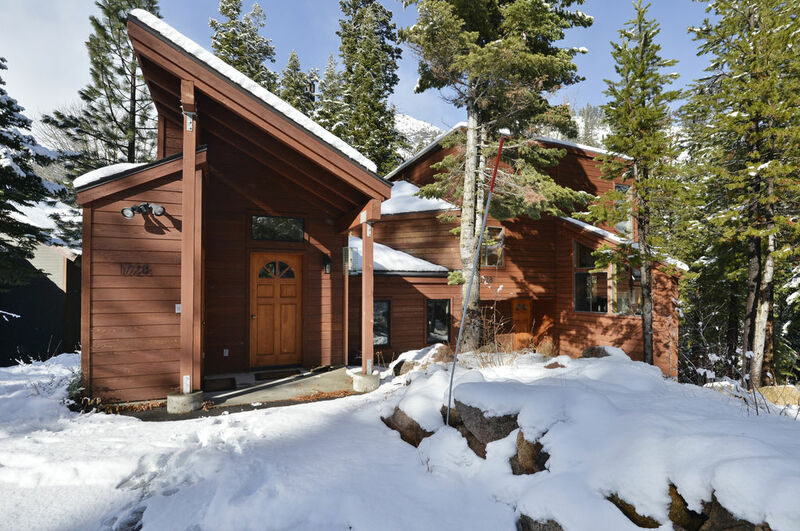 The homeowners have added a great walkway to make winter entry so much easier. 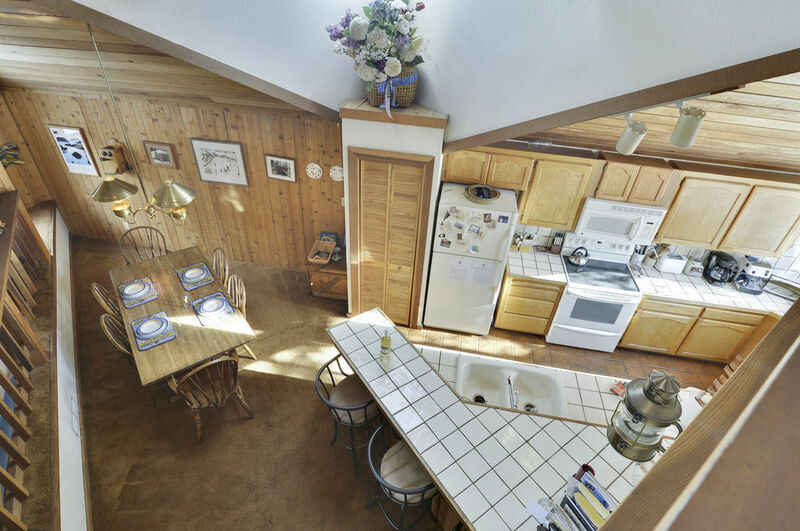 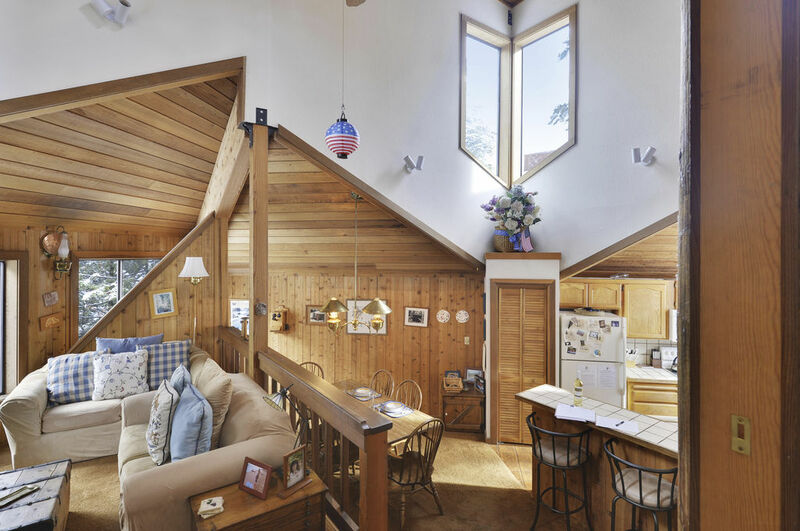 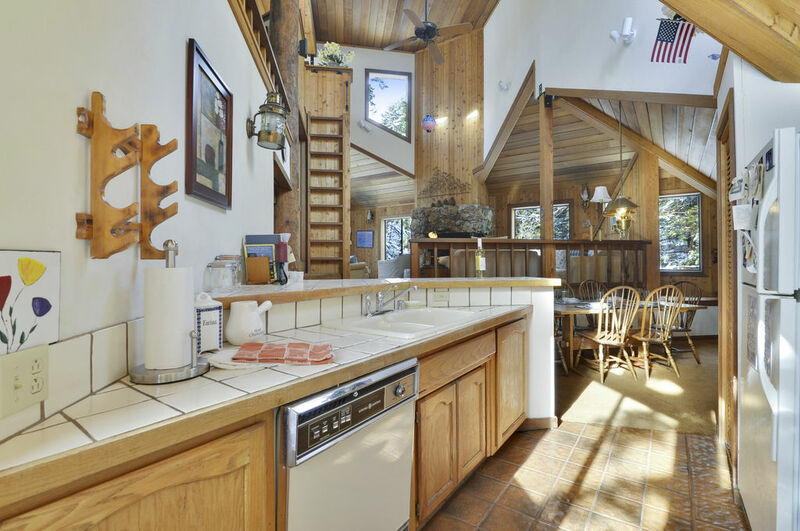 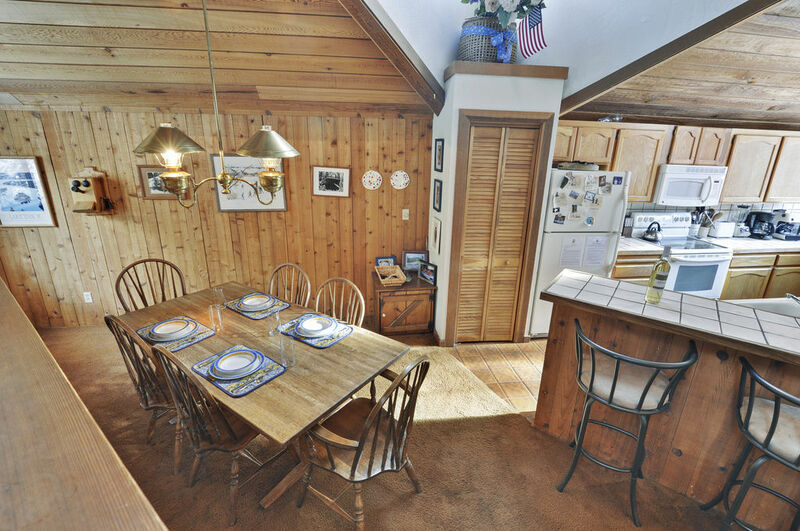 This ski cabin is split level, a few steps down from the entry is the kitchen and dining table with seating for six. 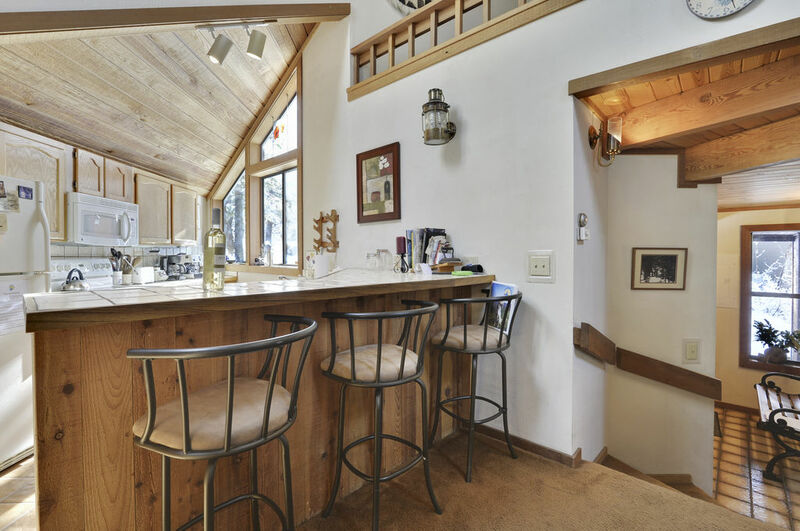 The kitchen has a breakfast bar with seating for an additional three people and it is a great place to hang out to keep the cook company or share a glass of wine. 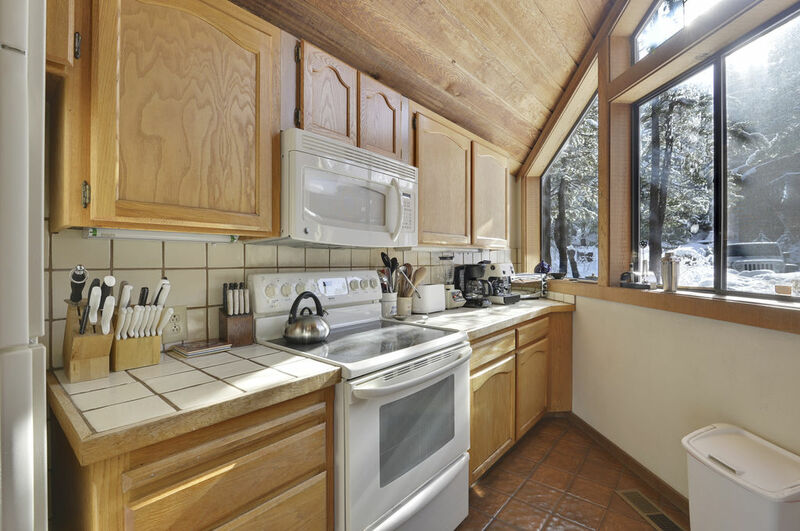 The kitchen is also well equipped for making meals for friends and family, as there is an electric stove and an espresso maker to get you going early in the morning. 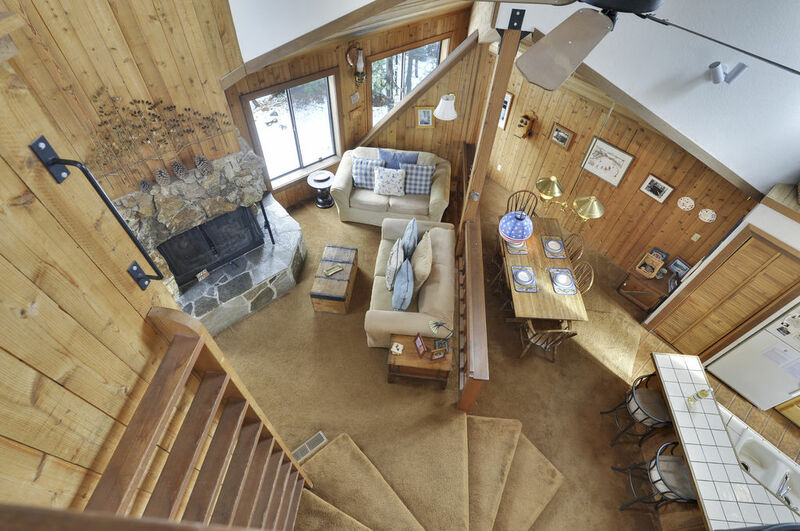 A few steps up to the living area which has a flat screen TV, two couches and two chairs and a gas open fireplace which creates a lovely ambiance. 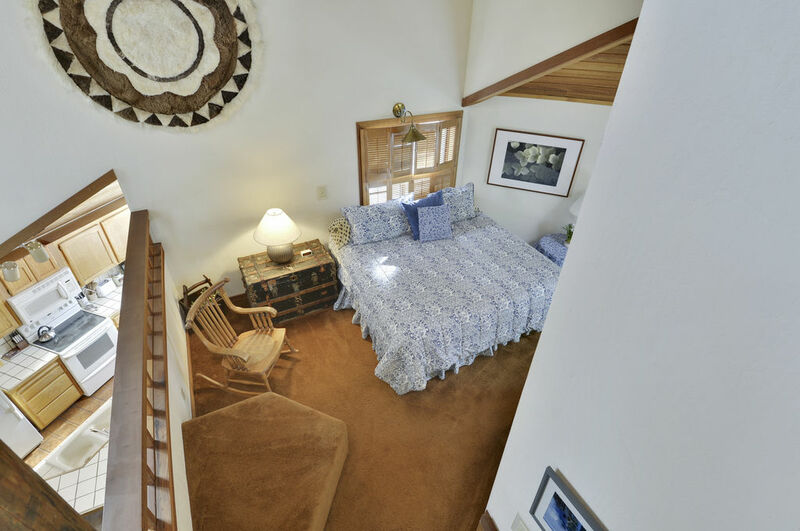 A few more steps and you are in an open bedroom with a king bed, including a bathroom on this level with a bath and shower. 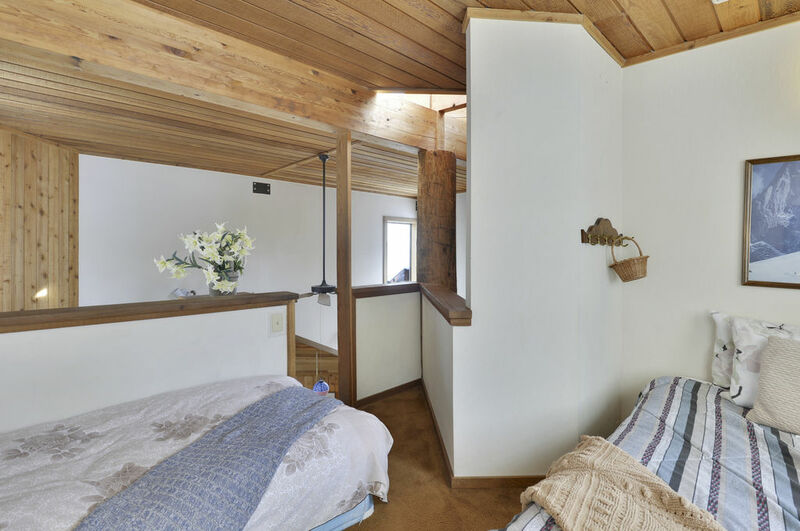 Up a ladder, you will find a loft with a double bed and a twin bed, but it is not suitable for young children. 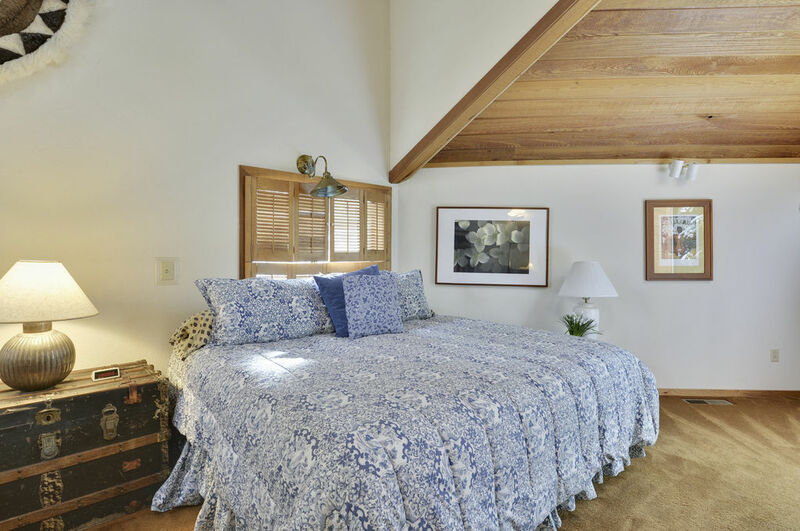 The downstairs level has a bedroom with a queen bed and a built-in bed suitable for a young child, plus another bedroom with a queen bed. 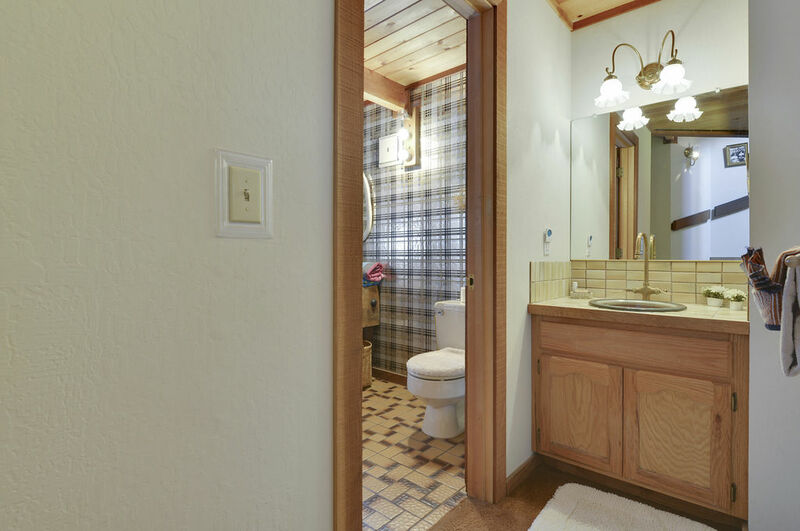 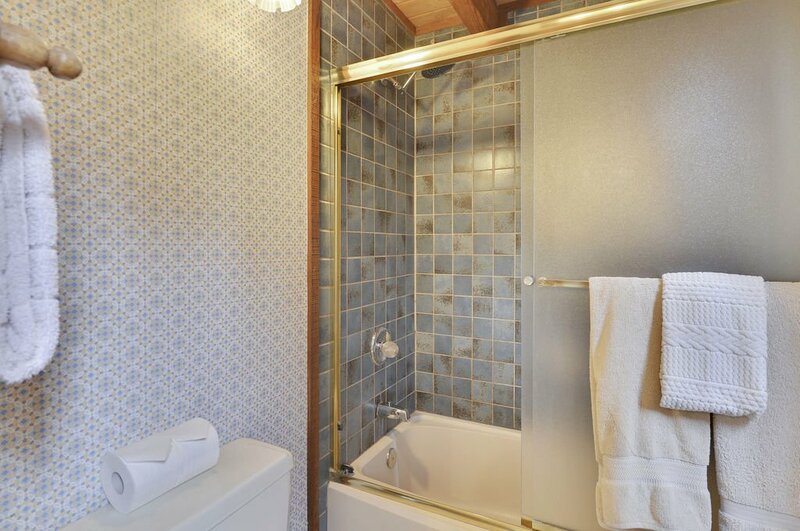 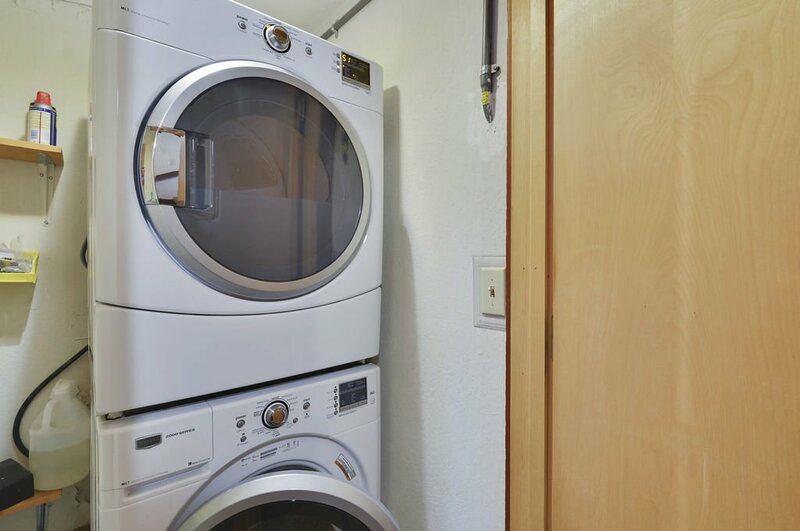 This level also has a bathroom with a shower and access to the back deck for the hot tub. 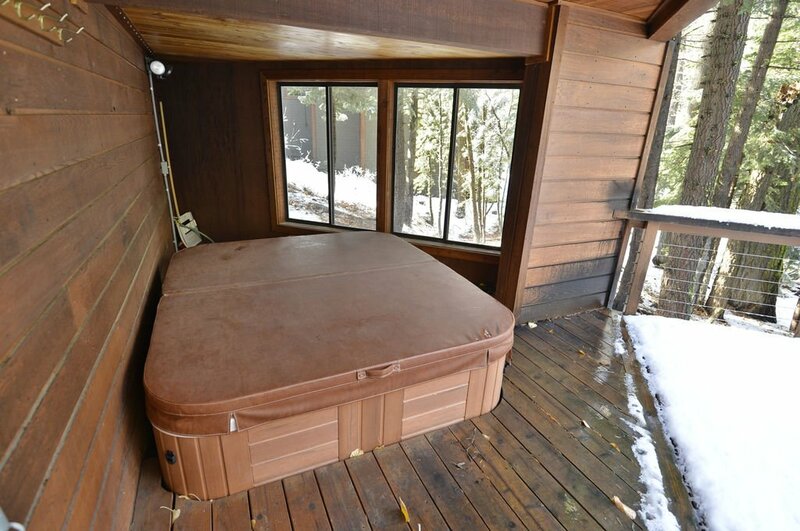 The hot tub is outside and undercover, great for relaxing with a cold beer after a hard day hiking or on the slopes.